To further understand the historical and cultural contexts of the story, both the identity of the author and characters in the story must be understood. Furthermore, it is also important to understand the chronological context and setting in which the story takes place. Charles Waterman was a member of the Seneca tribe, one of six Native American tribes belonging to the Iroquois people. 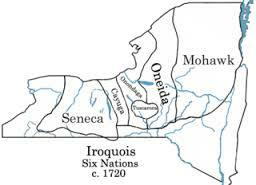 The Seneca tribe is thought to be the most western region of the Iroquois people, who mainly occupy the northeast of the United States and Canada. Because of their geographical location, the Seneca’s have a history of interaction with the French from approximately 1600 to the late 1800s. The tribe maintained a relatively peaceful relationship with the French and for a small time British fur traders in regions all along the Northeast border of Canada and the United States. There is only one largely recorded negative interaction between the Seneca tribe and fur traders, when the Seneca tribe intervened in a war between the French and a neighboring tribe. For the most part, the Seneca tribe and Frenchmen coincided peacefully due to a healthy trade relationship, with little to no attempts of assimilation or severe oppression. However, interracial marriage of the French and Seneca Indians did occur during the span of the fur trades. It is widely thought that today, there are very few “full-blooded” Seneca Native Americans as a result of potential interracial marriages. Another source of interracial marriages came later on, when marriage of Puerto Rican farmers working in and near the Cattaraugus Reservation, home to Waterman and his family, became prominent. The Objibwe tribe, written as “Objiway” in Waterman’s publication, is an Algonquin tribe ranging from eastern Canada to parts of Montana, including many northern states in the United States. The Ojibwe tribe is historically one of the largest Native American tribes in population. The Ojibwe tribe has a long and complex relationship with both the French and British from the early 1600s to the 1800s. The Ojibwe first came in contact with the French, being forced out of their territories in the Lakes’ Region by rival tribes from the mid 1600s on in an attempt to monopolize the fur trading business. The Ojibwe people sided with the French in order to try and maintain their power and financial standing in the trade business, but ultimately fell to the British along with the French by the mid 1700s. It is known that the Ojibwe’s across the entire northwest region distrusted the British, who were now in control of their land, and caused many small conflicts and battles among territories within the northwest. It is important to note, however, that the Ojibwe territories in northern Wisconsin were historically known not to have taken any action or uprising against the British. Like in the Seneca tribes, no federal or state laws in the United States, Britain, or France suggest the illegality of interracial marriage of Native American Indians during this time. In fact, interracial marriages between Ojibwe’s and foreign fur traders, specifically the French who they lived peacefully with, was very popular. It was thought to be a strong business practice for a Frenchman to marry a Native American woman, as it created a familial connection between the two that greatly increased the amount and value of fur trade. At the same time, Native American’s also benefitted greatly from these arrangements because they then received more access to European commodities as well as more of a voice in territorial control and decisions. What is interesting to note about the Ojibwe tribe is their geographical location. Waterman’s father, Phillip Waterman, was a Seneca Indian who moved to northern Wisconsin in his early adulthood to pursue a life of farming. 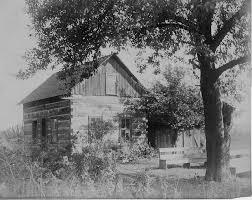 After his time at the Carlisle Indian School, Charles went to live with his father in Wisconsin, where he eventually settled. It is very likely that during his time in Wisconsin, Waterman heard a story similar or exact to the one he wrote about Catharine the Ojibwe. In addition to the historical background of both of these tribes, it is important to note the year in which the story was published in the “Red Man”. Although Waterman attended the Carlisle Indian School in the year 1892, both of his short stories were not published until the year 1915. It is unclear as to if the texts had been written by Waterman during his time at the school, if he later submitted them, or if they were discovered by those publishing “Red Man” in 1915. The gap in the years between Waterman’s attendance of the school and the publication of his work coincide with the culturally implicated changes in the school due to change of leadership. In 1904, principal Richard Henry Pratt stepped down from his position as headmaster of the school. It is a widely believed notion that Pratt heavily monitored the content of all Carlisle Indian School publications, prohibiting too much of a display of Native American culture, especially in accounts that inferred the assimilation or oppression of Native Americans in American history. Although it cannot be confirmed, it is likely that Waterman’s two stories were either discovered or written after his time at the school, or that they were prohibited to be published due to their content until progressive changes in the schools administration were made. This entry was posted in Charles Waterman, Resistors and tagged Assimilation, British Invasion, French-Indian War, interracial marriage, Love Story, Ojibwe, Seneca, Short Story, The Red Man, white-Indian relations. Bookmark the permalink.